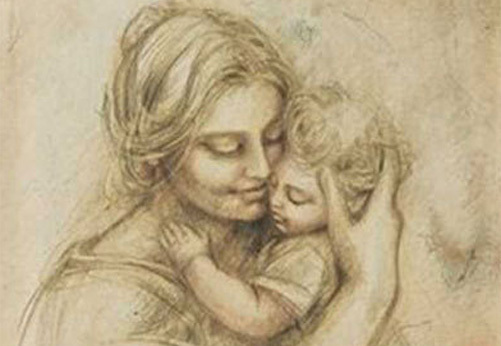 Home Astrology What kind of mother would you be according to your horoscope sign? What kind of mother would you be according to your horoscope sign? What is the secret of a successful and good maternity loving, understanding, respect and unity? Does the truly motherly instinct is innate or gained and learns as the they grow and develop? Like in most cases astrology hide the answers and says that the mystery is hidden in the character of each horoscope sign. Strong and determined, always protectively tuned to their child. Fire signs are energetic and independent leaders and fighters who do not give up so easily. Mothers born under the sign of Aries would never stop fighting for herself and her dearest, which is a great lesson for their children. Being stubborn, courageous, tenacious and always aspire for better. On the one hand calm and grounded on the other hand very informed and eager for knowledge, They are living in the world of information and communications. Mothers Gemini often firstly examine the path where are walking, before they let and their children to it. Mothers born in this sign are THE MOTHERS of all zodiac. They are careful for the world around them and going to do everything that is necessary to ensure a warm and safe home for their children. Have a gentle and sensitive nature and loving. Leos are fun, interesting and always want to be in charge. They actually know how to make good time. Generous, polite and always with a smile, mothers Leos are great adventurers who sometimes can be a little bit self centered. Their children are always there to help again find their own tone and identity. Queens of balance, order, schedule and organization. Occasionally know to be a little strict with yourself and notice the tiniest details, but that’s why their children are going to be well-mannered, cultural and polite. Do not want to linger on unnecessary things. Going to teach their children on morals, justice and discipline. The mess will make it into into art and ensure that their children travel as possible. The Scorpios want their home to be a secure place in which warmth and love will enjoy the whole family. They are fearless and protectively set to their children and bravely rule each situation with a clear, singular vision. These mothers are considered to be funniest around the horoscope. Have a good sense of humor, fun and adventure. Their biggest challenge is to be a strict parent, disciplining her children, while at the same time entertain them. Very solid, focused, hardworking and family persons. Mothers want their children to be successful and going to try every single way to clean up the path to the top of the goal. Aquarius unwilling to be conventional and are not follow any rules and conventions. They are original and unique and could be comfortable as well as like rock stars or librarians. Trying to teach their children all the values and how to be good citizens in the world. Pisces have huge heart and would give all their love to their children. They are compassionate and loving and sometimes know to be very protective moms. They adore their children and raise them in expressive, intelligent artists who will appreciate life.